Back in February 2015 a group of former Rare developers answered the prayers of every Rare fan from the N64 era when they teased a spiritual successor to Banjo-Kazooie and announced the founding of a studio named Playtonic Games. Fast forward to April 2017 and the game titled Yooka-Laylee was released to Banjo fanboy fanfare and a mixed critical reception. My personal pronouncement is that the game really delivered on what was promised. However, some of the things like quizzes feel like an old family in-joke that you are never sure if you even ever enjoyed, but all the same gives you a nostalgic twinge. What I did enjoy was the reimagining of the classic banjo formula with some modern twists. I look forward to the DLC hoping for something substantial like a new world to explore. Although the initial excitement was largely generated around the Yooka-Laylee project, more significantly a studio billed as the spiritual successor to Rare came into being who promised “A huge cast of memorable characters to meet … destined to endure in future games as part of Playtonic Universe”. This opened up the possibility of a myriad of nostalgia-fuelled modern reimaginings of beloved Rare franchises with a smattering of Playtonic magic. The following are the 5 games I want to see from Playtonic. Diddy Kong Racing will always be remembered in comparison to Mario Kart 64. In my mind as a single player centric gamer, Diddy did it best. Although admittedly Mario Kart is better with friends, the chimp’s karting has yet to be matched in how developed the single player was. I remember having my mind blown that you could drive around a hub world, have collectibles, race bosses, and even use different vehicles. Playtonic should make it a priority to make a Yooka-Laylee Kart racer complete with the hub world, boss races, and the addition of a track editor. I don’t know who would be cast as the Conker replacement, so I think it best if the karting game comes first to introduce a potential protagonist. Every time I see sweetcorn, or puke on the floor it brings a smile to my face as I reminisce about Conker with his foul-mouth and toilet humour storming the beaches to save Ryan’s privates and the myriad of movie references. I hope for a neo-parody of the matrix or something along those lines. When Rare announced that they were developing a game called Dinosaur Planet, fans of the studio were excited by the prospect of the game. Thanks to Shigeru Miyamoto’s meddling the game was reskinned in the Starfox universe and rebranded to Starfox Adventures. Although, a game was finally released the potential of Dinosaur Planet was never met. Free from Miyamoto sticking his nose in, Playtonic could realize the potential of the original concept even if it has to be modified somewhat to avoid lawsuits. Playing Yooka Laylee has made me hungrier for more than a purple ghost writer. I know it’s greedy but I’d love to see a Yooka-Toolee. For N64 kids like me Banjo-Kazooie defined the buddy platformer matched Mario 64 in some areas, but certainly surpassed it in terms of the unique sense of humour with all manner of grunts, squeaks and squawks. 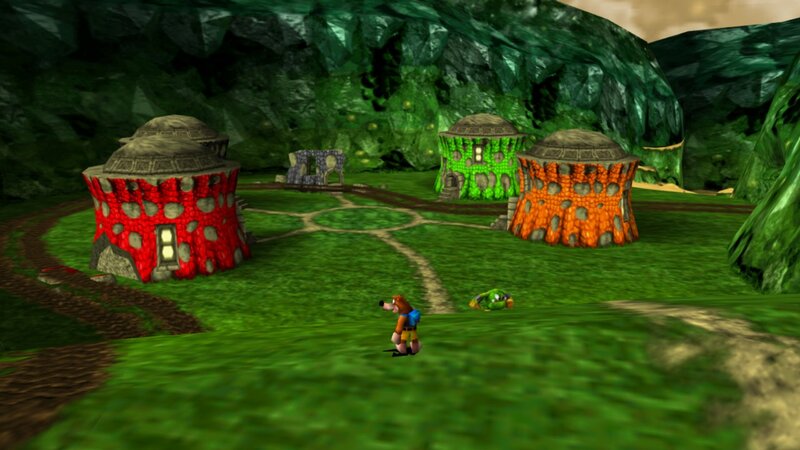 Banjo-Tooie revisited the world from the original and expanded upon it. Yooka-Laylee has the same potential for a sequel. I for one would love to see that chameleon and bat make a return and get more into their origin story. 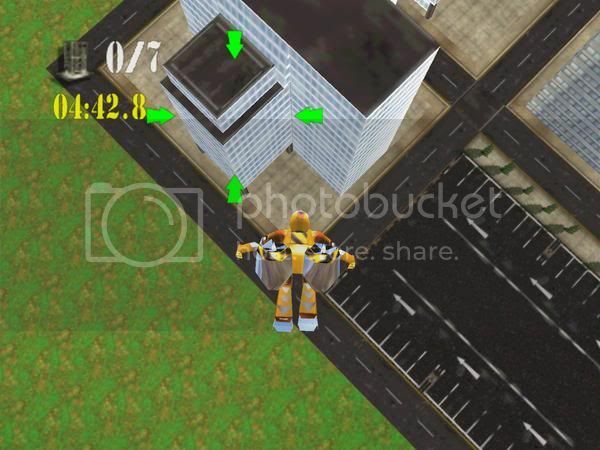 Blast Corps was a very early N64 game from Rare that might not be quite as well-known and well-loved as Banjo-Kazooie and Diddy Kong Racing. For me it’s right up there on the list of Rare’s very best games. Graphics have come a long way since 1997, but more excitingly particle physics and destructible environments in games have really improved. Whether the terrorists still use self-driving trucks, trains, or use aeroplanes or ubers, and whether the heroes use cars, the A-team van, or mech suits are details that I will leave up to Playtonic. What I want is the satisfaction of blowing stuff up against the clock to save the world and the universe. I do hope Playtonic make at least some of these games. I wouldn’t be at all surprised if they make a Jet Force Gemini or Perfect Dark style game instead. I’d also love to see original IP coming from Playtonic, but frankly I’m interested in whatever they want to produce. For now I’ll get back to Yooka-Laylee and my daydreaming about the glory days past and the glory days yet to come. Pipe Dreams: A Sonic the Hedgehog title developed by Ubisoft.